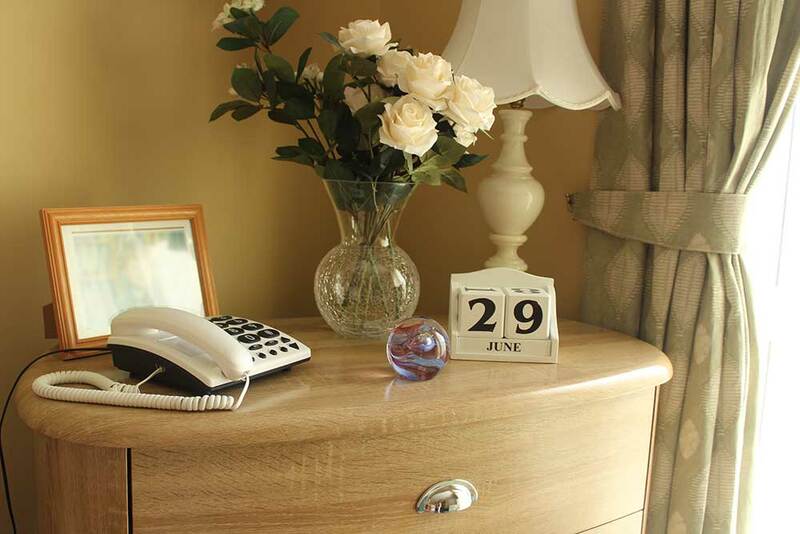 Moving into a care home is a big step and we know that you will have lots of questions. To make things easier, we have pulled together those we are asked most often. They are in handy categories, so you can easily find the answers you’re looking for. If there is anything else you would like to know, please do get in touch with the office on 01200 538110 or the home on 01200 443680. Do I need to pay my fees weekly or monthly? We invoice our clients on a four weekly basis, payable in advance during the initial four weeks stay at the home which is a trail period. 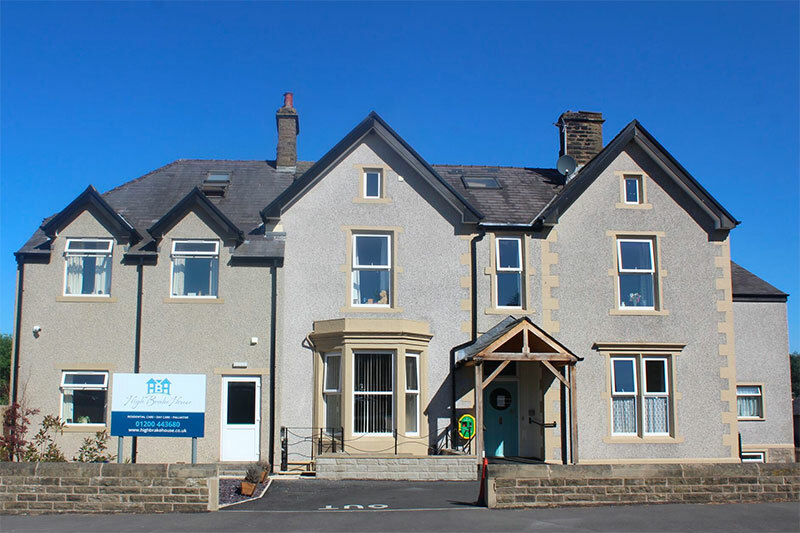 If you enjoyed your stay at the home and are happy with the care provided and wish to stay, we ask for a standing order to be set up for all future payments. 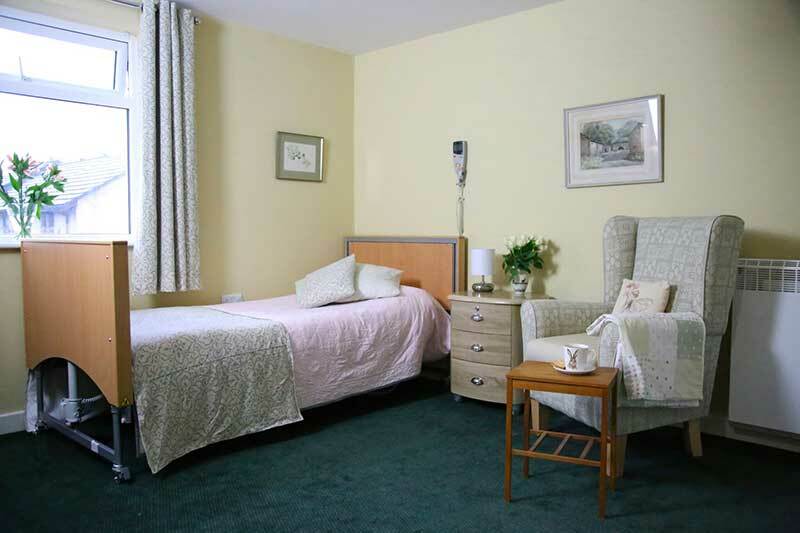 Why do room rates vary so much between care homes? Care costs vary according to the area of the country in which you live. 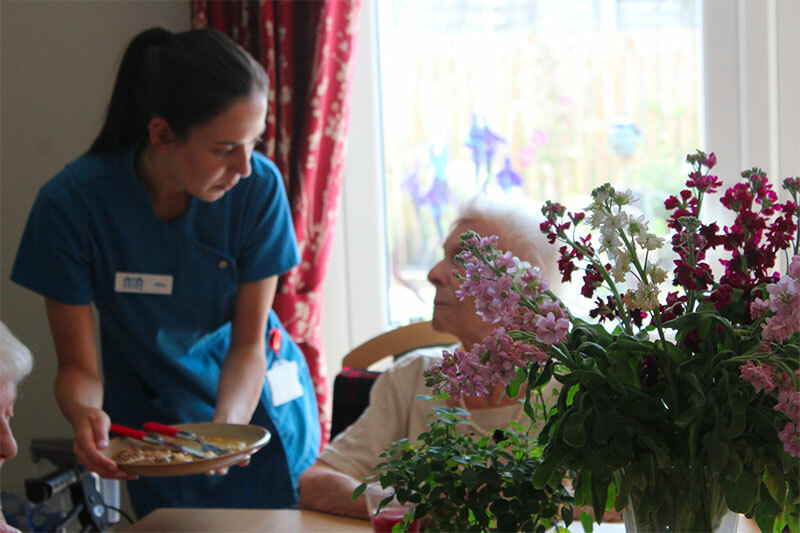 It also relates to how much investment has gone into a care home, both in its staffing team and its facilities. A recent Laing and Buisson report (an independent organisation that looks at what it costs providers to deliver a sustained and appropriate level of care to its clients) stated a fee of £750.00 per week is an average and appropriate rate to provide care. Do I have to sell my house to pay for care? This is not a simple question to answer, it depends on whether anyone else is living in the property, and your other financial assets and investments. Your local county council will happily advise you and carry out a financial assessment should you need. Do I have to pay anything on top of local authority funding? If the local authority is funding your care, you will be asked to pay a third party top-up rate, as their funding for care does not cover our fees – this is discussed and clarified with all clients before they enter our home. Will there be a pre-assessment before I can come to the home? Yes. We do a thorough pre-assessment with you and your family. We aim to ensure that we can meet your individual needs and that you will fit in well with our High Brake ‘family’. We want you to be happy here. We either come to see you in your own home or hospital or you can come and spend a few hours in the home and enjoy lunch with us. Can you store my valuables and money? Yes. We have insurance for items up to the value of £500 when kept in our safe. We recommend arranging separate insurance if you have more valuable things or wish to wear/keep them in your bedroom. Does the home have CCTV? Yes. We have CCTV in the main communal areas, laundry, kitchen and the office. This is for the safety of all residents (if someone falls for example), staff safety and to ensure our practices and procedures are adhered to. There is no CCTV in residents rooms or bathing areas. What facilities will I be charged extra for? We include most facilities in your fee, such as utilities, broadband, laundry, food, cleaning of rooms and manicures. Do you charge a different fee if the local authority is funding my care? No. You will pay the same fee whether you are a private paying client or having your care funded by the local authority. If the local authority is funding your care, you will be asked to pay a top-up rate, as their funding for care does not cover our fees – this is discussed and clarified with all clients before they enter our home. Room fees vary depending on location, size and your dependency requirements. We invoice our clients on a four weekly basis, payable in advance. Will you significantly increase my fees once I’m there? Your initial room rate takes into account likely future dependency levels so, wherever possible, additional costs can be avoided. If your needs change to such an extent that you require significant extra care, this may involve an increase in fees – this would be discussed with you and your family. We do increase our fees yearly in line with rates of inflation – between 2 and 3%. Am I allowed to drink alcohol? Yes. 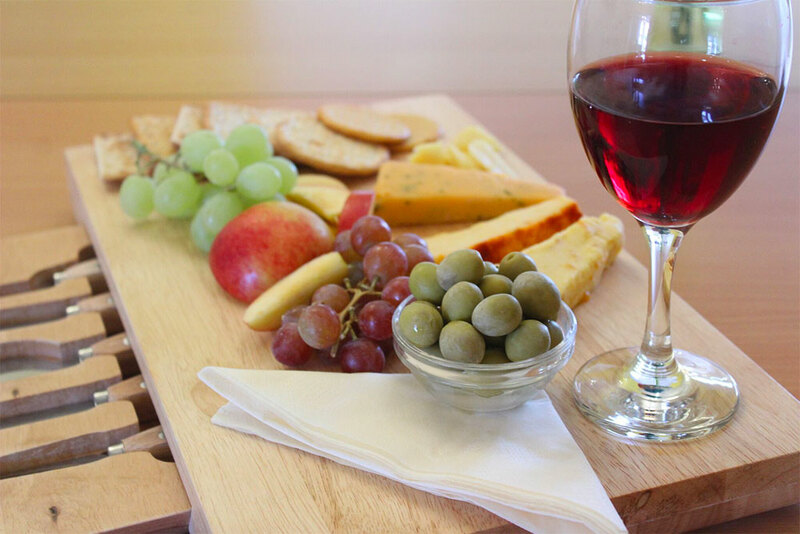 We want you to continue to enjoy the same pleasures you always have. As long as you act responsibly with the use of alcohol you are more than welcome to have it. If I have a pet, can someone bring it in to see me? Yes. We know how important people’s pets are to them, and we welcome them into our home for visits. They usually get lots of attention from our other residents too. Are there set visiting times? Do I have to get up and go to bed at certain times? No. It is your home; you can get up and go to bed whenever you wish. What if I need help at mealtimes? 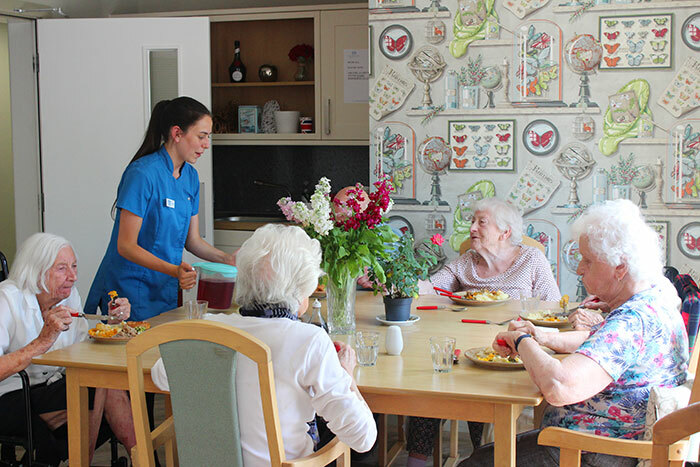 Our care team are fully trained to offer all levels of assistance at mealtimes. We are here to help and maintain your dignity. Our talented cooks provide a well-balanced seasonal menu which has been designed to include residents’ favourite dishes. 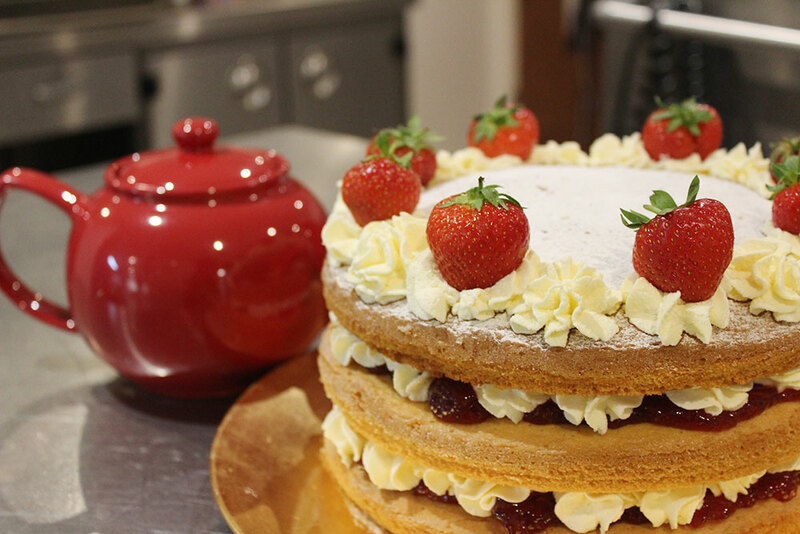 The aroma of home-baked cakes wafts out of the kitchen each day. 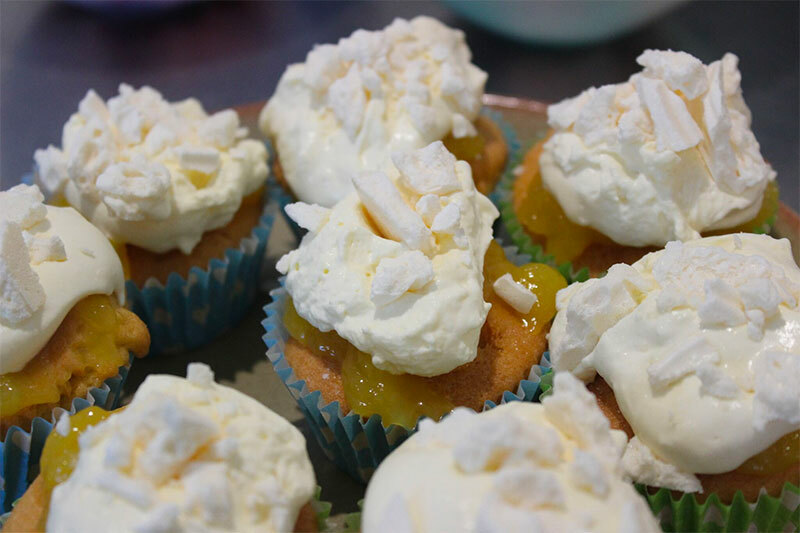 Our team caters to a full range of dietary requirements, including vegetarian, soft and pureed. 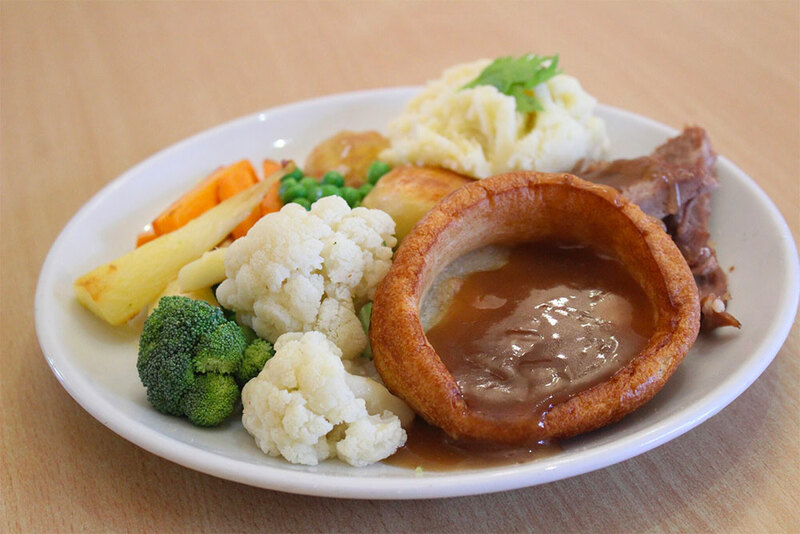 We pride ourselves on using local produce and all British meat in our menus. Our meat comes from Croppers butchers and is sourced locally. Fresh fruit and vegetables come daily from Walkers, who have a long-standing stall on the local market. Milk is supplied by Townson at Westby Dairies. Are there set times for meals? We do have set times so that everyone can sit and enjoy a meal together. You are also welcome to choose for your food to be prepared outside these communal times. What activities are there for me to get involved in? Tennis-themed exercises, hand massages, quizzes, sing-a-longs, movie nights, gardening days, friends and family fine-dining, garden parties, Halloween and Christmas parties, parties just for the fun of it, and lots more besides. What can I bring from home? Anything you enjoy wearing, bring it! As well as ample storage in your bedroom, we have a dedicated storage area for clothes; they can be safely packed away until the right season comes around. We are unable to launder dry cleaning clothes or delicate woollens and cashmere clothes, so if you would like to bring these with you, alternative arrangements would need to be made by you for laundering them. We invite you to bring those special items filled with memories and make our home feel like yours. All our rooms are furnished, but perhaps you have a favourite chair you can’t bear to be without, or a bedspread that makes going to bed feel just right. All you have to do is ask. Why is the front door locked? The front door is held by a special magnetic lock. This is linked to the fire alarm system and releases when it is set off. All staff and your next of kin receive a card and have certain access rights. The door is closed to protect residents from wandering into the busy main road and also provides the security of preventing anyone coming into the home without staff knowledge. How much freedom will I have? We want you to feel at home here. 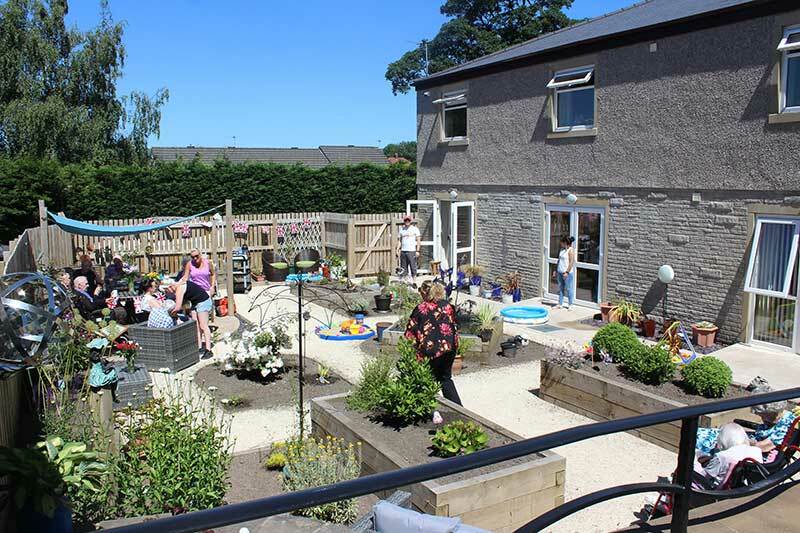 You can wander freely around the entire building and gardens and chat to anyone you meet along the way; see what’s cooking in the kitchen; catch up with goings on in the laundry; find out what management is up to in the office (this usually involves chocolate biscuits). You can relax in our lounge chatting, reading or watching TV. You might like to take part in an activity, or perhaps have some quiet time in your room. It’s entirely up to you. How do I get to High Brake? You can make your own way to us – we have ample off-road private parking. If you’re coming to us from a hospital, they will arrange discharge and transport by ambulance. What happens with my medication? Once you’re settled, we will register you with the local pharmacy, so your medication can be managed efficiently. If you live locally you will remain with your current GP. If you are from outside of the area we will register you with the Clitheroe Health Centre. How safe is the home? Safety is extremely important to us and we have substantial measures in place to protect our residents and our team. Gas safety shut-off in the commercial kitchen to reduce fire risk. Do you provide Nursing Care? Sorry we don’t. None of our staff are qualified nurses. We have an amazing District Nursing team who are able to assist should you need any nursing intervention. 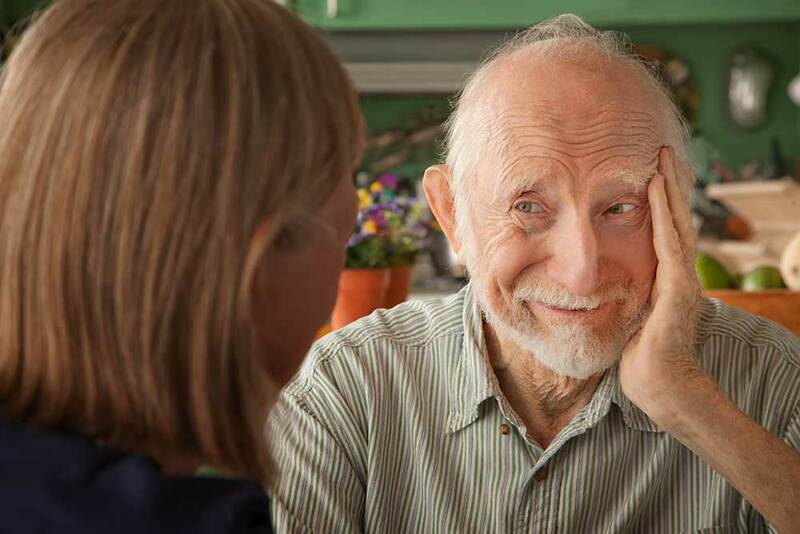 Do you provide Dementia Care? 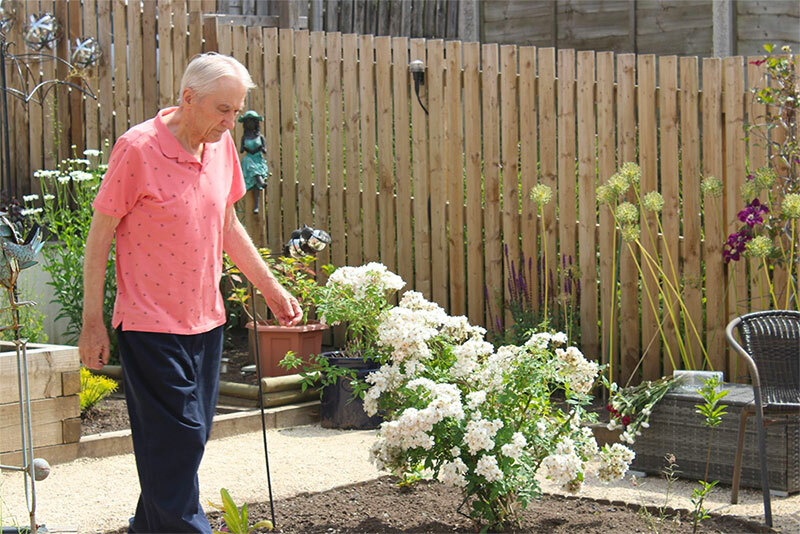 We do offer care to people who have dementia. This can be discussed at your pre-assessment. We need to be sure we can meet each individual’s needs in terms of safety and care requirements. We also need to assess how each individual will interact with the people who already live here.